Paid coach/mentors and volunteer experts spend 3 days per week and 3 hours per day with the participants helping them learn athletic skills, engage their community, write poetry, create “neighborhood movement maps,” and get hands on experience making and eating healthy meals. To make this happen, Active Children Portland works with summer SUN (Schools Uniting Neighborhoods) Schools to get the participants moving on the field and in their community. 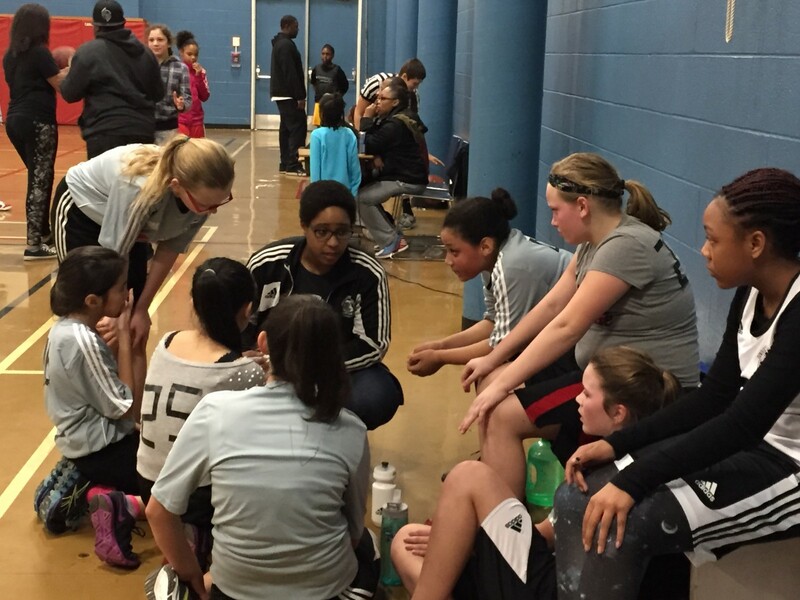 Email us at info@acportland.com if you’d like information on coaching or volunteering at an Active Children Portland site. Student achievement and overall youth health is in trouble, especially among ‘high-risk’ communities. At the same time, the schools and agencies charged to help are facing daunting budget cuts. NOW is the time for creative, cost-effective strategies to help! 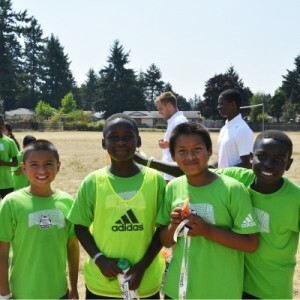 Active Children Portland began in 2011 with the vision to transform communities and serve hundreds of local students through youth soccer. 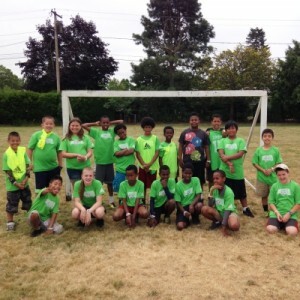 We provide this through two highly successful national programs, the US Soccer Foundation’s Soccer for Success Program and the America SCORES program. Active Children Portland forms soccer and basketball teams during after-school hours at 17 program sites and provides children with a jersey, a ball, and a chance to play on their after-school team. We create a sense of belonging and provide the opportunity for children to be physically active 4 days a week, for 30 weeks a year. In Active Children Portland’s programs, 81% of participants improved or maintained their BMI percentile last year. While 79% of participants improved or maintained their aerobic capacity. Trained coaches deliver educational activities where children are taught the basics of nutrition, the importance of making healthy lifestyle choices, and the importance of maintaining healthy eating habits. Each program day students discuss nutrition and healthy lifestyle choices over a meal or snack, participate in soccer or basketball activities, and apply their knowledge by making their own healthy snacks! Active Children Portland provides students engaging activities that incorporate art, music, emotion, and drama to reinvigorate students’ interest in writing and teach them the basics of poetry, public speaking, and literary devices. By incorporating public performances, we are also helping to change the stigma many students feel about self-expression. The creative writing program takes place over the course of 10 weeks in Fall. Active Children Portland’s Service Learning program takes place during the spring season and expands upon the teamwork and writing skills students learn in the fall. Students work together under the guidance of their coach to identify a need within their community and a service project that will address that need. Projects take place over ten weeks and teams are encouraged to seek out diversity, community partners, and strengthen their voices by taking on leadership roles. 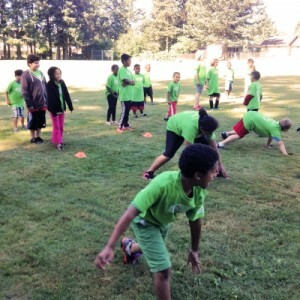 Active Children Portland’s summer program inspires children to move.